Amazon has Disney Frozen Fever Singing Elsa Doll for $10.28. This is 59% off from the regular price of $24.99. Free shipping with a $35 order or free 2-day shipping with Amazon Prime. Sing along with Elsa from Disney’s Frozen! This entry was posted in Frozen Toys on April 22, 2016 by admin. 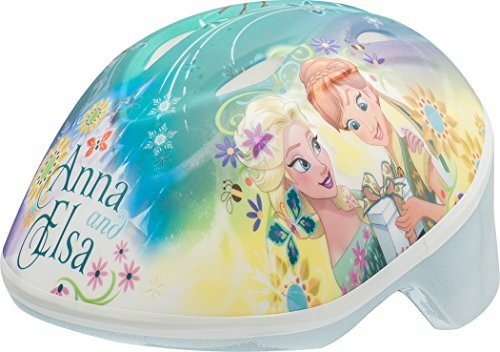 Amazon has Bell Toddler Frozen Helmets for $4.85. This is 81% off from the regular price of $24.99. Free shipping with a $35 order or free 2-day shipping with Amazon Prime. This entry was posted in Frozen Toys on April 8, 2016 by admin. Walmart has Delta Children Frozen Activity Easel for $39.99. Free shipping for orders over $50. This entry was posted in Frozen Toys on February 17, 2016 by admin.